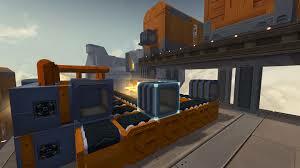 Infinifactory - a great puzzle sandbox with a first-person, from the makers of such well-known games such as SpaceChem and Infiniminer! By controlling the character in the first person, you need to build factories for the collection of resources, solving problems along the way on the uptake. The passage ends if the character dies. Easy and convenient gameplay ideas tighten players for many hours of fun and entertainment. And the most important part of the gameplay - compete with friends. Where you can outdo any friend, deciding the puzzle faster than him. * STYLE SPACECHEM ... in 3D! 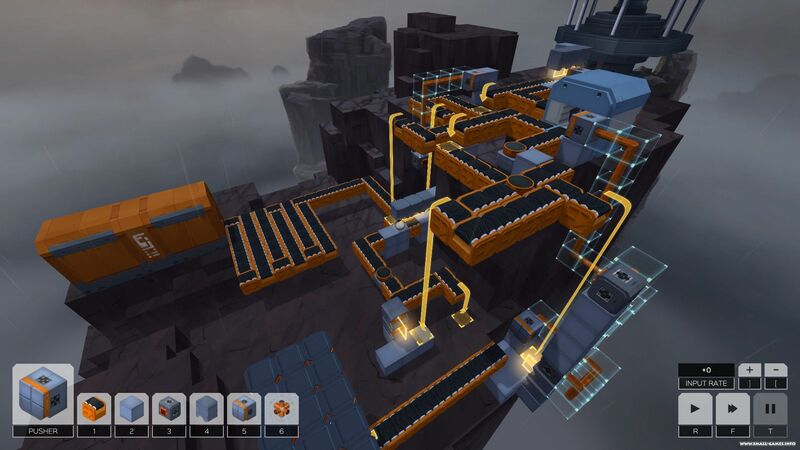 Design and run their factories using the first-person view. * Histogram is back! Optimize your designs and then optimize them even more when you see your friends´ projects. * VISIT EXOTIC PLACES alien! Explore exciting campaign with a thrilling story, audio logs and much more. * Block that move! In addition to the campaign, you can realize all your fantasies in sandbox mode.